Unleashing Compassion Conference Tickets are now on sale for Unleashing Compassion, a major national conference which will explore how to encourage open and supportive attitudes and behaviours relating to death, dying and bereavement in Scotland. It takes place at Renfield St Stephen's in Glasgow on 2 May. Death happens. We can all help each other with death, dying and bereavement. 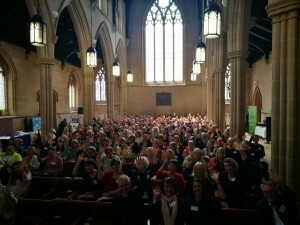 Good Life, Good Death, Good Grief brings together individuals and organisations that share this vision. We are interested to hear from any person or organisation who wants to work with us to make Scotland a place where people can be open about death, dying and bereavement. It is never too early to think about planning ahead for illness and death – making plans when you’re healthy means there is less to think about if you get sick.